For the past eight years, leading sports hospitality firm Champions Travel have been bringing football fans to the best Premier League and European League matches in the world. Now they are hitting the track with an amazing range of brand new Formula 1 packages. Formula 1 has a huge following in Ireland and Champions Travel have been receiving a large number of enquiries about Formula 1 because customers know they deliver superb sports travel packages. So now they have built a fantastic range of travel packages for all the European races in Formula 1. “We are delighted to launch our Formula One packages, making it easier for fans across Ireland to see all their favourite Formula 1 races in 2019,” Joe O Donnell, Champions Travel Formula 1 Specialist said. Their exciting packages include: General Admission Tickets to Practice, Qualifying and Race Day and 3 Nights Hotel Accommodation. They can also build and tailor specific packages around customers’ needs. Ticket and hotel upgrades are available.Races include Spanish, Monaco, French, Austrian, British, German, Hungarian, Belgian, Italian. They currently have a Special Offer available for The Spanish Grand Prix on May 12 including your General Admission Ticket with access into Practice, Qualifying & Race Day and 3 Nights Hotel Accommodation May 10-13. The price is €445pps. 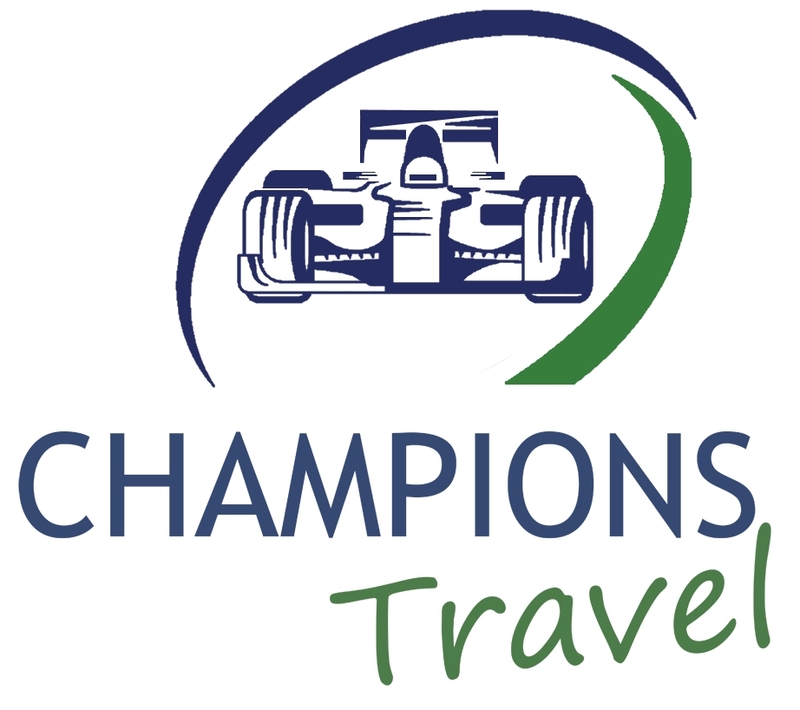 These packages can be viewed on their website www.champions-travel.com or you can call Joe our Formula 1 specialist on 074-9123882 or email joe@champions-travel.com today. They also have an easy payment scheme available which allows you secure the package with a deposit and pay the remaining balance in flexible instalments. Champions Travel was established in 2011 in Letterkenny, Co Donegal and has grown to 16 strong workforce. They are official partners with all the major English and European football and sports clubs, Wembley Stadium and the London 02 Arena. They offer official excellent hospitality packages at Arsenal FC, Chelsea FC, Liverpool FC, Manchester United FC, Manchester City FC, Tottenham Hotspur FC, West Ham United FC, Fulham FC, Watford FC, Newcastle United FC, Everton FC, Crystal Palace FC, Real Madrid, AC Milan, Juventus and Barcelona.